While they may sound like futuristic concepts, in fact, micromanufacturing and nanomanufacturing are becoming the biggest thing in our industry since the moving assembly line. Scientists have found a process by which methane can be selectively converted into ethylene at low pressures and temperatures. 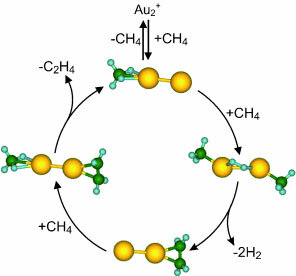 Free gold dimers catalyze the reaction. Eine kritische Prozesstechnologie bei der Chipherstellung ist das Chemisch-Mechanische Polieren, bei dem Strukturunebenheiten im Bereich von Nanometern auf den Siliziumscheiben zwischen verschiedenen Produktionsschritten immer wieder eingeebnet werden. For the first time, the widely used molecular synthesis technique known as click chemistry has been safely applied to a living organism. Researchers have produced an artificial DNA with a razor-thin 'wire' inside, demonstrating in the process that the natural structure is preserved. Researchers at MIT and Harvard Medical School have built targeted nanoparticles that can cling to artery walls and slowly release medicine, an advance that potentially provides an alternative to drug-releasing stents in some patients with cardiovascular disease. A project to produce a number of pharmaceuticals - anti-inflammatory drugs, diuretics, and statins in phospholipid capsules with extremely small particles (less than 30 nm) recently won approval from the Supervisory Council of RUSNANO. A project to produce bicuspid and develop tricuspid artificial heart valves has been approved by the Supervisory Council of RUSNANO. A comprehensive and authoritative review of the health and environmental safety of engineered nanomaterials has been published by a consortium led by Edinburgh Napier University and the Institute of Occupational Medicine. A new research program at The Methodist Hospital in Houston is the nation's first dedicated solely to advancing nanotechnology in orthopedics and spine surgery. Forschern gelang es, den elektrischen Widerstand und den bislang unbekannten Stromfluss im Inneren von Silizium-Nanodraehten darzustellen. Semiconductor nanocrystals emit light at wavelengths that can be tuned by particle size and composition, and are more stable to light than organic dyes, so hopes for their applied use are high. 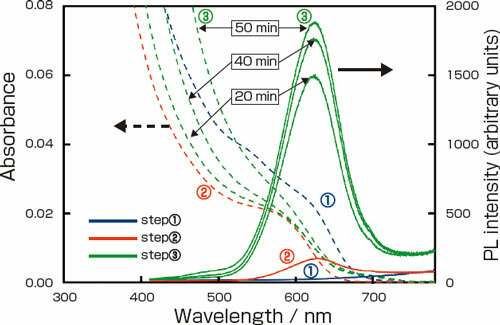 When coated with such agents as surfactants and a semiconductor with a wide band gap, these nanocrystals show strong photoluminescence. A new polarizing microscope has enabled the detection of a retardation (a unit for measuring the strength of birefringence) of ca. 0.2 nm and the visualization of the dynamism of actin filament bundles with a diameter of 20-60 nm inside a neuron without staining. 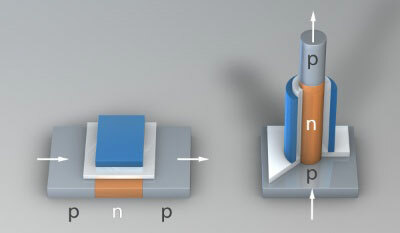 Forscher von Siemens arbeiten an kleinen und schnellen Roentgenquellen auf Basis von Nanoroehren. Mit Nanotechnologie als Wahlpflichtfach fuer Chemisch-technische Assistenten (CTA) hat die Akademie Muenden beim Innovationspreis des Landkreises Goettingen in der Kategorie Handwerk und Dienstleistungen den dritten Platz belegt.